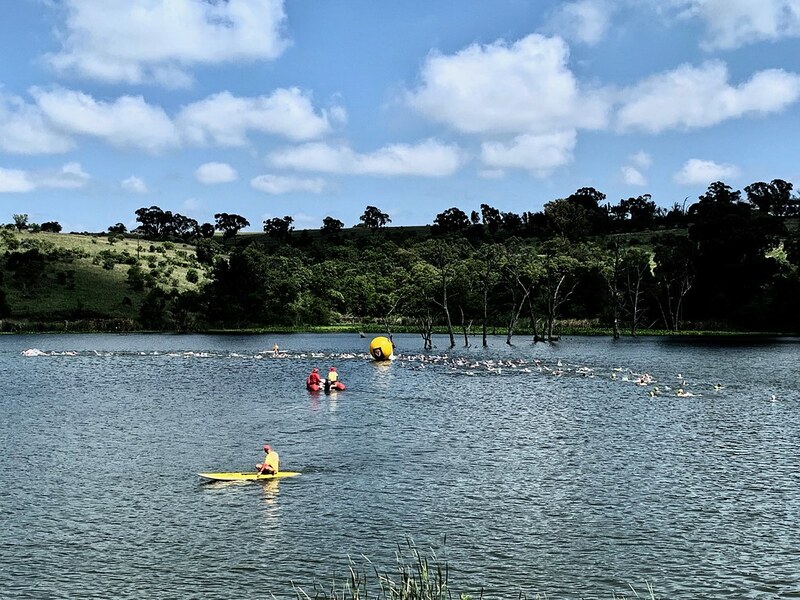 There are few places in the whole region that are just made for outdoor sport, and Cradlemoon is definitely one of those. 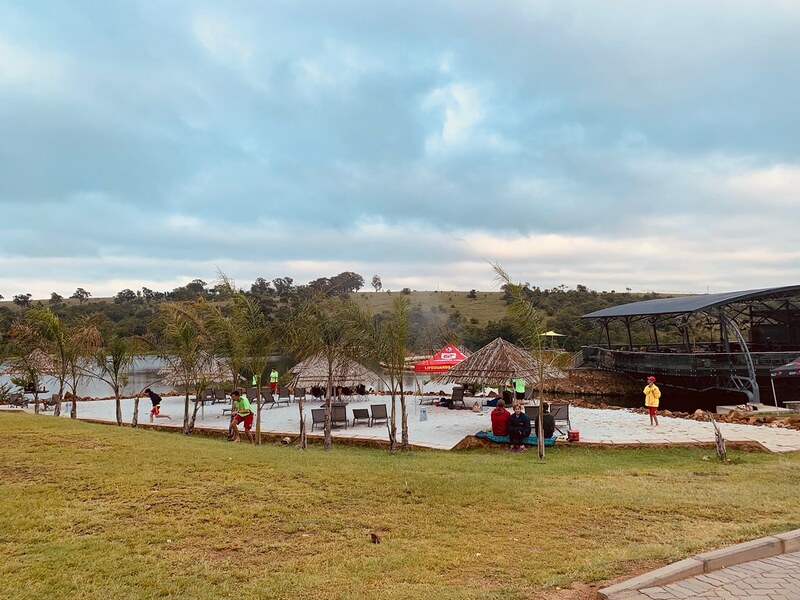 The clean and warm lake, the beautiful surroundings (with MTB tracks and a road loop around the Cradle of Humankind well known by the locals), and the gentle offroads. Let's not forget the wild animals roaming around and the fantastic accomodations ! (whenever I have guests from oversea, I told them to book a night away here). 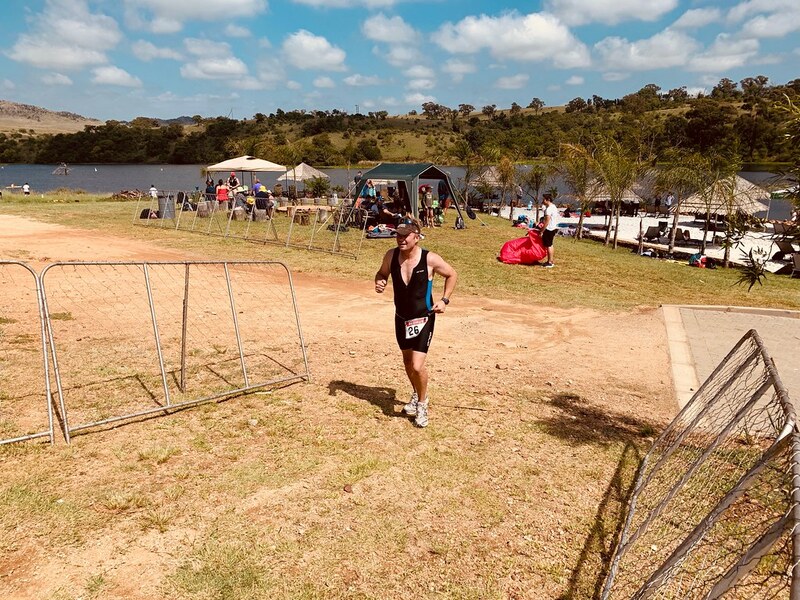 So it was great to go back, almost 2 months since the last triathlon in the same place, for another competition, this time with Curtis. 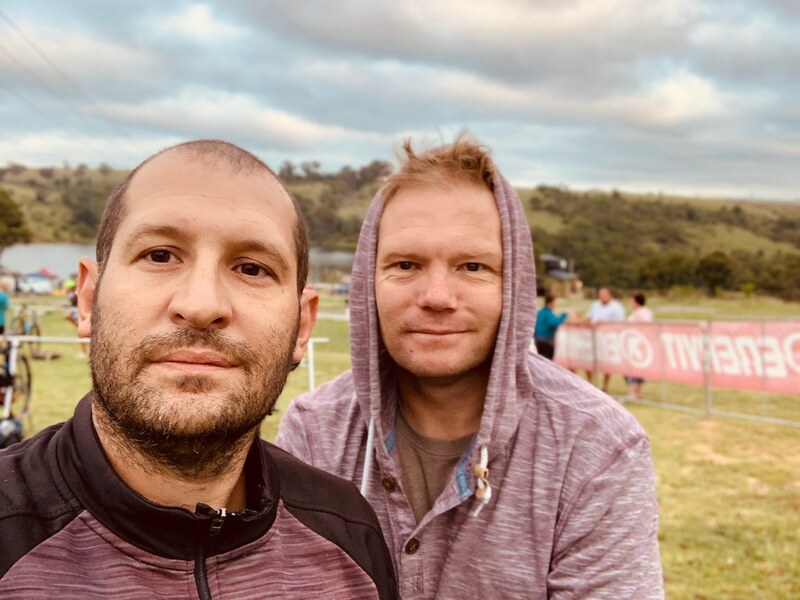 The morning when we arrived was a bit chilly (at a certain point it started to rain) , but as soon as we hit the water for our sprint race (750m swim), the rain stopped and the clouds disappeared. 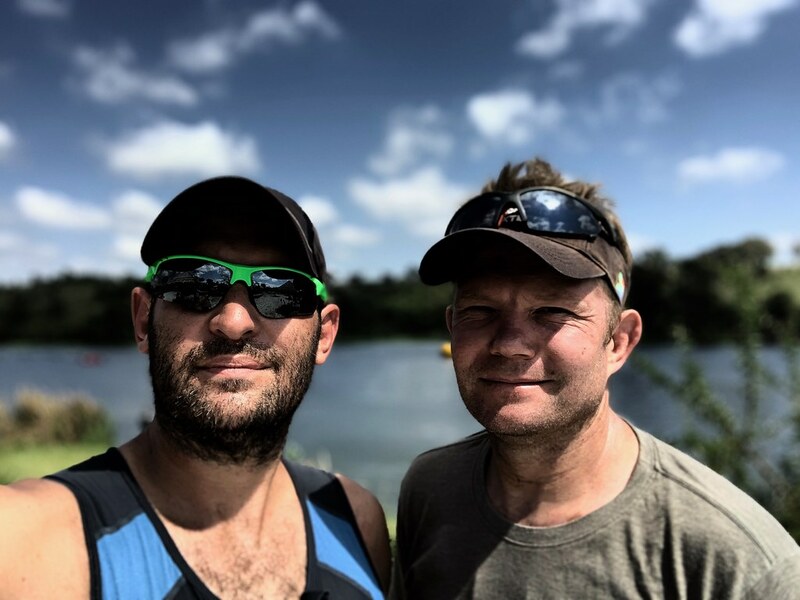 I did very well (by my low standards), even managing to finish the swim leg before Curtis, who struggle thanks to a peanut butter sandwich he ate just before the race... 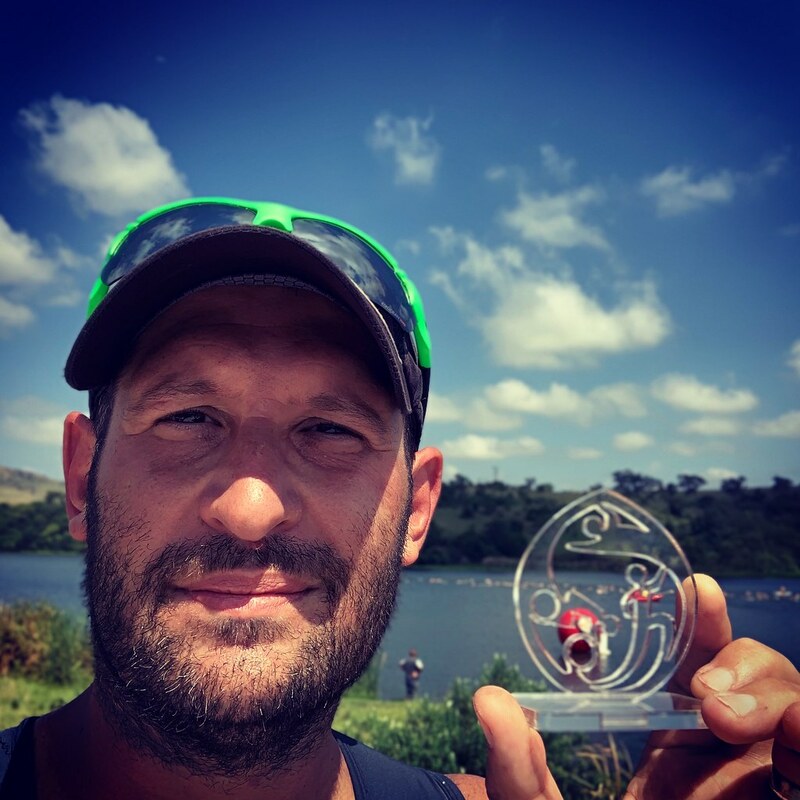 While we parted ways in the cycling (I entered the road event, he entered his favourite MTB event), we met only much later, due to his leg being shorter in distance (12 vs 20km) but much slower! At the end I finished around 20 minutes before Curtis , but we both enjoyed our morning at the Cradle!